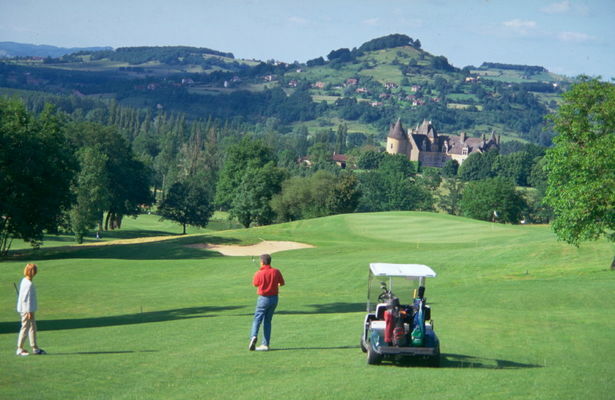 This 9 hole course starts off gently, on a rich alluvial plain, close to the Renaissance château which gave it its name. It then begins to climb more and more noticeably up the north slope of the Césarines, a vast limestone plateau edged with tall cliffs. 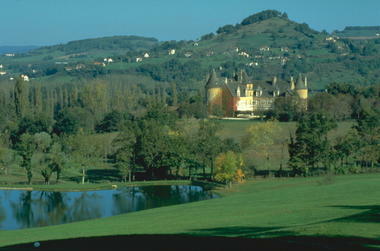 Its terraced fairways provide magnificent views over the surrounding villages and châteaux. 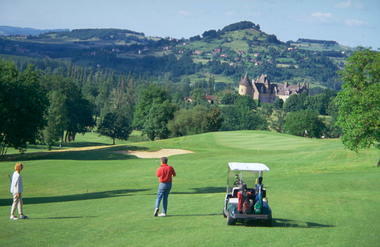 The numerous bunkers and greens on several levels give the course a real interest for the golfer. Players, whether visitors or members, can enjoy the comfort of a recently-built clubhouse, a ten booth driving range, a putting green and an approach green.